The South Dakota State Historical Society has announced that they are currently processing a donation to showcase the history of baseball in South Dakota. The donation came from Aberdeen native Paul Gertsen, who has given his entire collection of Northern League (1900-1971) baseball materials to the society. 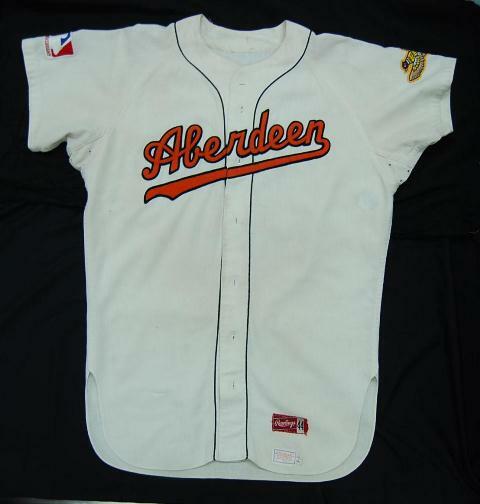 The collection features artifacts such as the plaque from the cornerstone of Aberdeen Athletic Field, home of the Aberdeen Pheasants, built in 1937 by the WPA; game-worn uniforms from the Aberdeen Pheasants, St. Cloud Rox and Winnipeg Maroons; team autographed baseballs and game-used bats; and more than 560 autographs of major league players, coaches and umpires who were at one time associated with the Northern League. Gertsen, who was raised in Aberdeen and graduated from Huron High School, has deep South Dakota ties. He lived in Pierre before taking a job with the Saint Paul Saints and later with the Minnesota Moose of the Northern League. He presently works for the city of Saint Paul, Minn. He is the founder of the Minnesota Chapter of Concerns of Police Survivors and formerly sat on the National Board of that organization. “I started collecting baseball cards in 1971, the same year I saw my first Aberdeen Pheasants games,” Gertsen said. “I have collected baseball memorabilia since that time, and started to build my Northern League collection -- slowly but surely -- in 1983. The archives currently has a display of materials from the Gertsen collection in the lobby of the Cultural Heritage Center, and the museum will soon have a few key artifacts from the collection on display in its permanent gallery, “The South Dakota Experience.” There is no fee to view the archives display, but regular admission charges apply when entering the museum. The Museum of the South Dakota State Historical Society will open its next major exhibit, tentatively entitled “Play Ball! The National Pastime in South Dakota,” on Oct. 24, in the Hogen Gallery, with Northern League materials from the Gertsen collection featured prominently. The baseball exhibit will run through March 2016.